LAHORE: Pakistan People’s Party (PPP) on Wednesday announced its candidates for the national and provincial assembly seats from Punjab. According to the list issued here on Wednesday, former prime minister Raja Pervaiz Ashraf will contest election from NA-58, PPP Punjab President Qamar Zaman Kaira from NA-70, Samina Khalid Ghurki from NA-132, Ch M Aslam Gill from NA-133, Tasneem Ahmad Qureshi from NA-90, Makhdoom Syed Faisal Saleh Hayat from NA-114 and Aurangzeb Barki will contest election from NA-126. The PPP has issued tickets to M Afzal Khokhar for NA-52, Sabtul Hassan Bukhari NA 53, Raja Imran Ashraf NA-54, Sardar Zulfiqar Hayat NA-55, Sardar Saleem Haider NA-56, Kamran Aslam Chaudhary NA-59, Mukhtar Abbas NA-60, Haji Gulzar Awan NA-61, Sumaira Gull NA-62, Malik Jabbar Ahmad Chilla NA-64, Malik Hashim Khan Awan NA-65, Tasneem Nasir Gujjar NA-66, Commander Fayyaz Ashraf NA-67, Ch Azhar Iqbal NA-68, Wazir un Nisa NA- 69, Ch Ahsan NA-71, Malik Tahir Akhtar NA-72, Zarar Mehmood Malik NA-73, Nargis Faiz Malik NA-74, Dr Zaheer Ul Hassan Rizvi NA- 75, Yasir Mushtaq Bajwa NA-76, M Nawaz NA-77, Ejaz Ahmad Cheema NA-79, Rao Ikram Ali NA-80, M Anas Amjad Ch NA- 81, M Isahq NA-82, Ch Zulfiqar Ali NA-84, Asif Bashir Bhagat NA-85 and Fakhar Umar Hayat Lalika for NA-86. 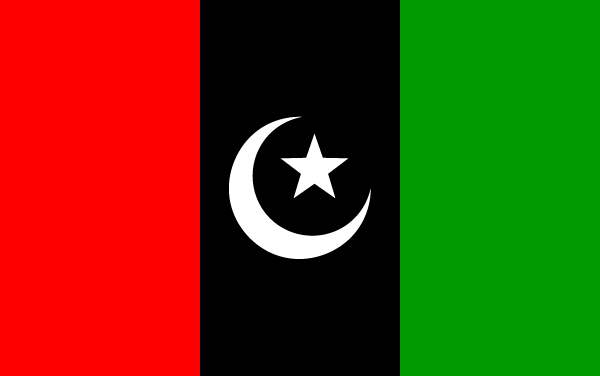 The PPP’s candidate Brig (r) Izharul Hassan will contest from NA-88, Ch M Aslam Madiana from NA-89, Tariq Mehmood Gujjar from NA-91, Agha Naseem Abbas from NA-93, Safdar Ali from NA-94, M Khalid Khan from NA-95, M Khalid Awan from NA-96, Makhdoom Syed Asad Hayat from NA-99, Inayat Ali Shah from NA-100, Tariq Bajwa from NA-101, Rai M Shahjehan Kharal from NA-102, Shahdat Khan Baloch from NA-103, Rana Farooq Saeed Khan from NA-104 and Ch Seed Iqbal will contest election from NA-106 on party tickets. For NA-107, the PPP has issued ticket to Malik Sardar Muhammad, NA-108 Malik Asghar Ali Qaisar, NA-109 Haji M Afzal, NA-111 Haji M Ishaaq, NA-118 Rai Shahjehan Bhatti, NA-122 M Javaid Bhatti, NA-124 Ch Zaheer Ahmad, NA-125 Hafiz Zubair Kardar, NA-127 Adnan Gorsi, NA-128 Syed Zafar Ali Shah and for NA-129 Iftekhar Shahid has been issued ticket by the PPP for the Election-2018. The Pakistan Peoples Party has nominated Adeel Ghulam Muhauddin for NA-130, Asim Mehmood Bhatti NA-131, Sohail Awan NA-134, Amjad Ali Jutt NA-135, Rana Jamil Ahmad NA-136, Rai Mujtaba Kharl NA-141, Nawab Tariq NA-142, Shehzad Naul NA-144, Mian Shaukat Ali Bajwa NA-146, Mehr Ghulam Farid Khatia NA-148 and Ali Javaid for NA-149 for the 2018 elections from central Punjab. Names for the vacant constituencies have not yet been finalised. The PPP has announced names of 71 candidates for National Assembly seats from central Punjab while 131 names for provincial assembly seats.